Along with the addition of the newer model GMT Master II ref. 116710LN came a handful of notable changes to the line, including the addition of a Triplock screw-down crown, which is larger than the previous Twinlock and results in a more robust case. The men's ref. 116710 also features a new bezel design equipped with a bearing that turns per hour, as opposed to per minute, and a Cerachrom ceramic insert. 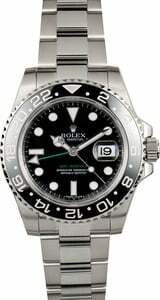 Most GMT Master II enthusiasts consider the bezel to be the most exciting feature of this particular reference as it offers a highly resilient finish that won't fade or corrode. Of course, this modern GMT also features an Oystersteel finish, sapphire crystal, polished links, and a Maxi dial. 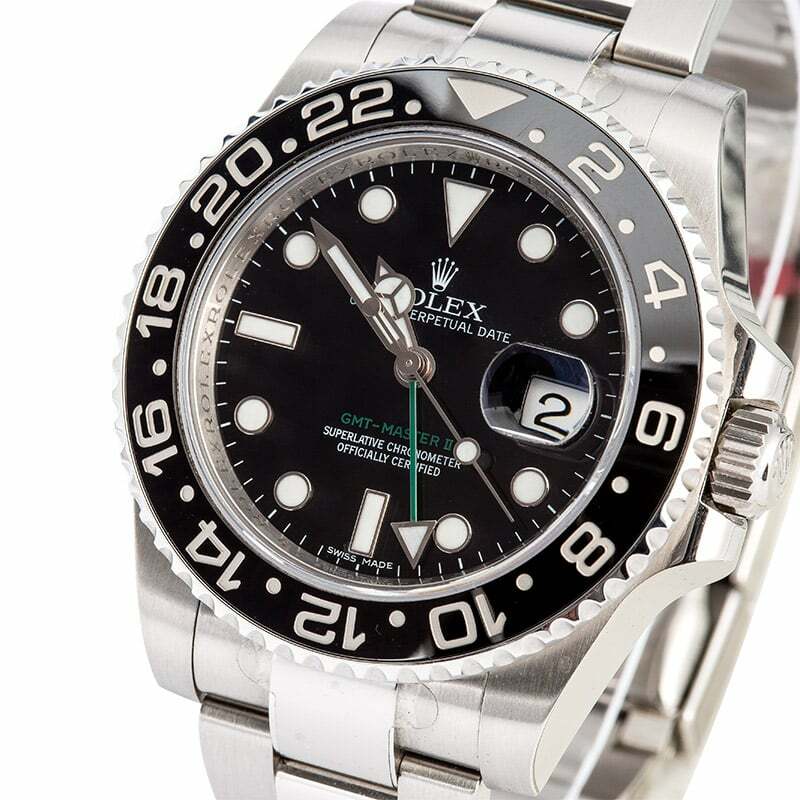 If you've been in the market for a pre-owned Rolex 116710LN, now is the time to add one to your collection.